Fun, friendly and fiercely independent, Urban Travel Blog advocates investing in the Bristol Pound and heading West for a wild adventure in the UK’s counter-culture capital. Words & photos by Giulia Riva. Better known for the graffiti on its streets than the paintings in its museums, Bristol is the de facto counter-culture capital of the UK. A place where the underground still bustles and thrives, attracting London-based artists and creative types who can no longer afford to pay the rent in the capital. The grungy alternative vibe pervading this funky city is outstanding: there is always something going on – be it a concert, an exhibition or a festival – and this vivid sprightliness seems sewn into the fabric of the town. As the iconic rows of terraced pastel-shaded houses with colourful doors, and the obsession with unicorns and hot air balloons, add a fairy-tale kick to the city, the rattle of skateboard wheels and the ubiquitous smell of spray cans remind us that it’s the gritty urban culture that constitutes the soul of Bristol. Atmosphere aside, ultimately it’s the Bristolians themselves that will make you love this city. Proud to have been awarded the UK’s first European Green Capital back in 2015, Bristolians actively take care of their green spaces, convinced of the values of sustainable development and growing their own food in local allotments. They are very proud of their local businesses, to the point that they created their own citywide currency (the Bristol Pound) to support independent shops and to maintain diversity of businesses around the city… and even to the point of greeting the opening of a new Tesco with riots and firebombs – true story. Friendly (to non-Tesco execs at least), laid-back and artsy, locals call each other ‘my lover’ and they always thank the driver when they get off the bus, which is just one of the many ways in which they show their great community spirit. 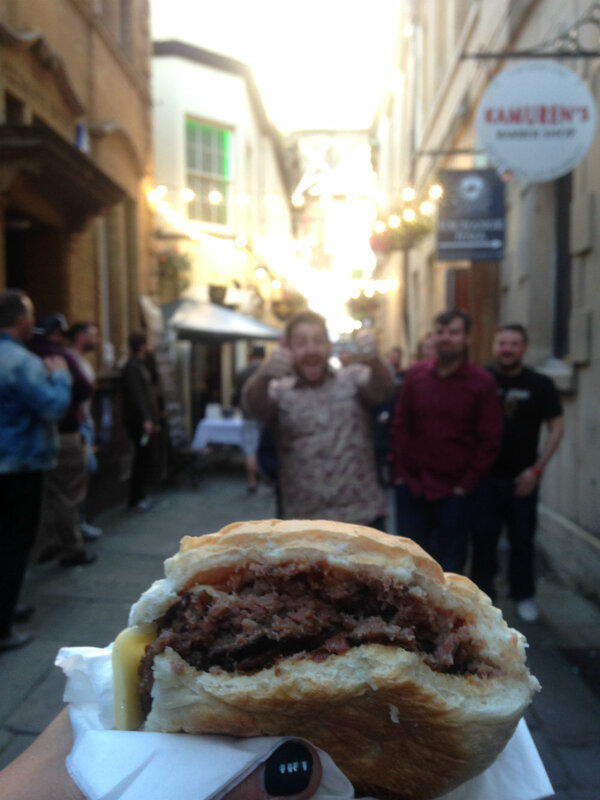 The best thing about Bristol’s beaten track… is that there isn’t a beaten track! Bristol isn’t the usual tourist destination and, although there is no shortage of museums, Gothic churches, Grade I listed buildings and beautiful parks, you will never be engulfed by a crowd of tourists. The main tourist attraction is Brunel’s SS Great Britain, the Victorian vessel that was the world’s first luxury-cruise liner. It is anchored in the Harbourside near Spike Island, an internationally renowned contemporary art centre. But, in that overlapping-layer, 100% Bristol way, this touristy island in the middle of the River Avon is also where you can find Banksy’s Girl with a Pearl Earring. The most photographed spot in the city is the Clifton Suspension Bridge, which stretches from the posh neighbourhood made up of chic boutiques and Georgian buildings to the 850-acre park of Ashton Court Estate, home to deer and more free-ranging animals. Don’t miss the Bristol City Museum, whose collection casually shows a Bansky opposite Egyptian mummies, and a Lego mini figure dressed as ancient Roman in the midst of ancient Roman coins, with that not-taking-themselves-too-seriously attitude which make Bristolians so amazingly unique. Stained-glass lovers should check out Bristol Cathedral, with its finely carved choir, the lovely graveyard and the stunning view from atop the roof. Then climb Park Street walking past its independent shops and organic cafés as far as Brandon Hill, the oldest park in Bristol, where you can enjoy yet another amazing view over the city. From the early 1990s to the present, Bristol has become best known for its urban culture, especially its music and street art, which somehow makes its alternative scene the actual “beaten path” of the city. To dive into Bristol’s underground scene, begin with a walk through Stokes Croft’s spray painted streets, which are packed with pubs, bars and independent shops proudly accepting the Bristol Pound, and hipster cafés where everything is organic, fair-traded and ethically sourced. Stokes Croft is basically one single road – not even that long – made up of architecturally disparate buildings. 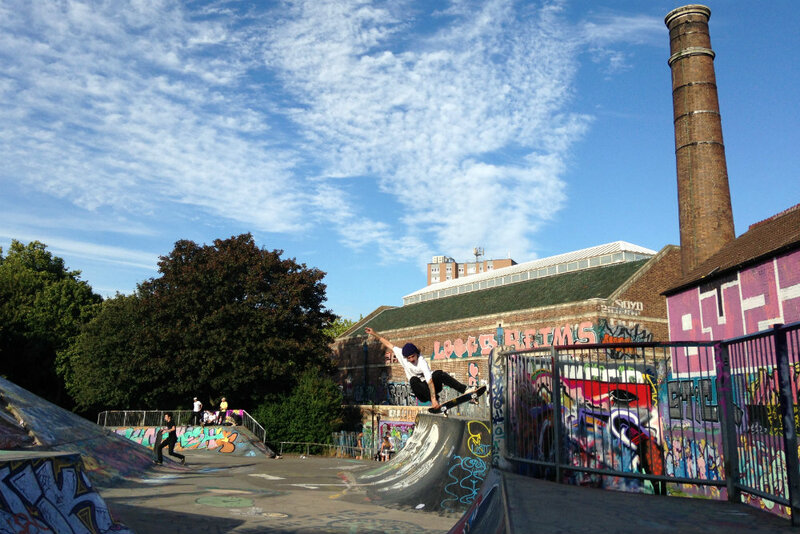 It officially begins at Bearpit, a pedestrian square under a roundabout that became a popular skate area – definitely the best place in town to indulge in people-watching! Another hipster-intensive area is Bedminster, which is on the southern side of the river. Once a district housing workers for the tobacco factory (which btw eventually turned into a cultural centre), Bedminster is now on its way to gentrification. From trendy to still-as-rough-and-dodgy-as-in-the-good-ol’-days, the different souls of the ‘hood follow one another on North Street, which is also the epicentre of the urban art festival revamping the area each summer and helping make this town a flagship of street art and graffiti culture worldwide. The atmosphere is still very genuine and rough in the multicultural Easton, in the eastern outskirts of Bristol, where the street artist Banksy used to live. The main shopping street – Saint Mark’s Road – is where delis and ethnic restaurants constantly spread a pungent smell of spices, and fragrances of foods from all around the globe meld. Easton is also home to a Victorian-style Greenbank Cemetery made up of ornate tombs and beautiful sculptures of angels. Another independent and bohemian area is Old Market, which is the area of the former city market and is today’s gay village. It is well known for its vibrant nightlife and open-till-late gay-friendly pubs and clubs, among which are The Palace and Old Market Tavern. If you are lucky enough to be spared by the inclement English weather, get on a bike and follow the off-road, 13-mile cycle path that leads to the World Heritage City of Bath. Go Aloft! offers visitors the opportunity to climb SS Great Britain’s rigging. I’m sure the view from the yardarm would have been stunning if only I’d had the guts to look down. But, undoubtedly, the most quintessentially Bristolian experience is flying over the city in a hot air balloon, enjoying a view usually only bequeathed to birds. 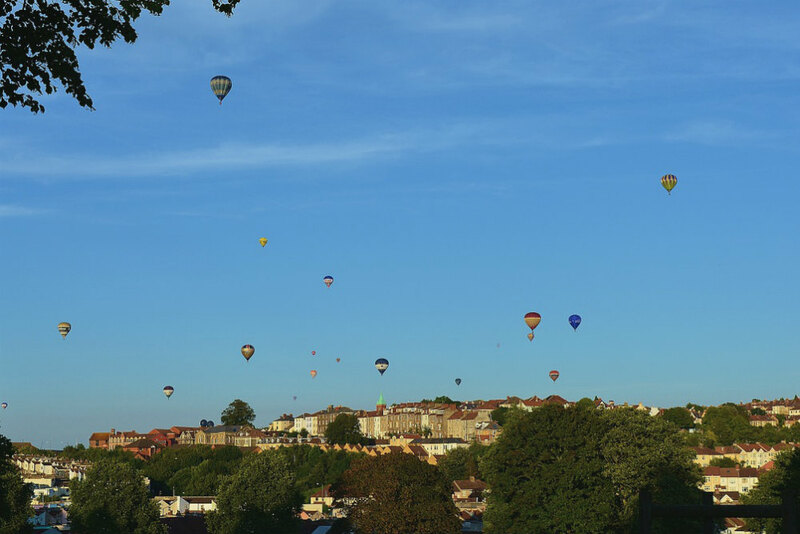 Flights are available from May to September, although the most exciting moment to go up, up and away is during the Bristol International Balloon Fiesta (you can book via Viator if you’re keen! ), which is the greatest and most eagerly anticipated event of the year. It takes place in August in the beautiful natural park of Ashton Court. Another landmark event of the city is Upfest, the biggest urban art festival in Europe. Taking place at the end of July, it brings hundreds of street artists and graffiti writers to the streets of Bedminster and beyond. 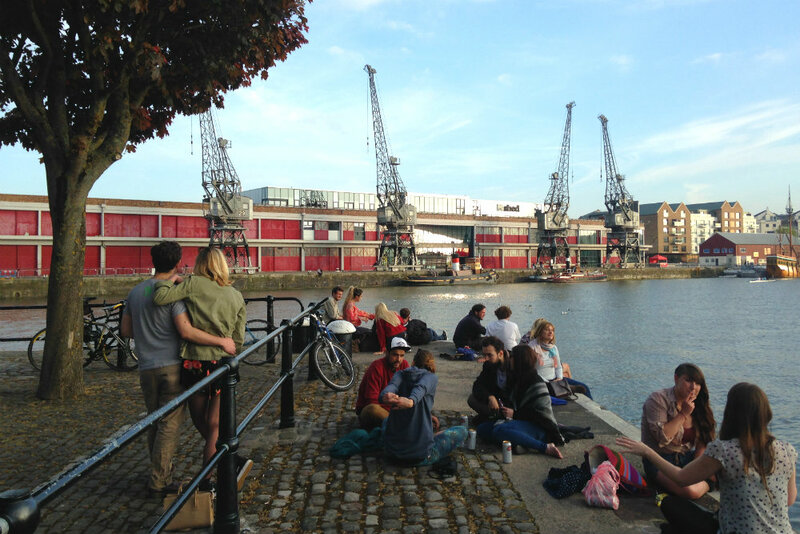 Music-wise, Bristol Harbour Festival is a free festival held in the summertime all around the Harbourside, attracting youngsters and families. Naturally a city as independent and creative as Bristol has spawned more than its fair share of craft beers and the breweries that produce them: the best time to take advantage of both is Bristol Beer Week (autumn), when the city’s best beer bars host special tastings, lectures, workshops and live music. The Full Moon Backpackers Hotel is located in Stokes Croft, right above the popular Full Moon Pub. This is the perfect choice if you want to mingle with Bristol’s vibrant underground scene. Another favourite among backpackers is the Rock & Bowl Motel, which is likewise equipped with its own bar – The Lanes, known for its bowling alley. For a more comfortable experience, book a retro-styled room at the charming Brooks Guest House, or even one of its four shiny caravans on the rooftop, from where you can enjoy a stunning view over the Old City. For more options Booking.com lists 100s of hotels, B&Bs and guest houses. To save you some hassle we’ve filtered them to show only ‘superb’ rated hotels, ordered with lowest price first. Why settle for less? Street food lovers should not miss St. Nicholas market, which on occasion stays open at night when the tasting experience is enriched with live music and lots of beer. Speaking of street food, a special mention goes to Bristol’s best fish’n’chips – you will find it at the greasy and unpretentious fish bar Argus in Bedminster. For another English classic – the afternoon tea ceremony – go to Cox & Baloney, whose interior design will remind you of a mad hatter’s tea party. The Old Market Assembly houses a pleasant restaurant with its own bakery, a bar and The Wardrobe Theatre. If for some inexplicable reason the weather isn’t rainy, grab a seat on their gorgeous rooftop overlooking the city. Mixing live music, post-industrial design, fringe theatre and tasty food is The Tobacco Factory, which also happens to be the perfect place to try a pint of Bristol Beer, the glorious craft beer produced on the other side of the street. Katie and Kim’s Kitchen is a cosy restaurant joined to an organic deli, with a small, in-view kitchen defining the homey atmosphere. No listing of Bristol’s restaurants would be complete without mentioning the Creole cuisine! The best Jamaican restaurant in town is Rice & Things, which has been also featured in Jamie Oliver’s TV show. Bristolians are obsessed with cider: the two most popular places to try it are The Coronation Tap in Clifton, serving the house special’s ‘exhibition cider’, and The Apple Cider Boat, housed on a Dutch barge with a beautiful view of the harbour. While you bar-crawl your way around the Old City, make sure to stop at The Bank Tavern, which is also well-known for its gourmet meals, at Zerodegrees, which home-brews its own beers, at The Hope & Anchor and at its twin pub The Volunteer Tavern, both endowed with beautiful beer gardens. 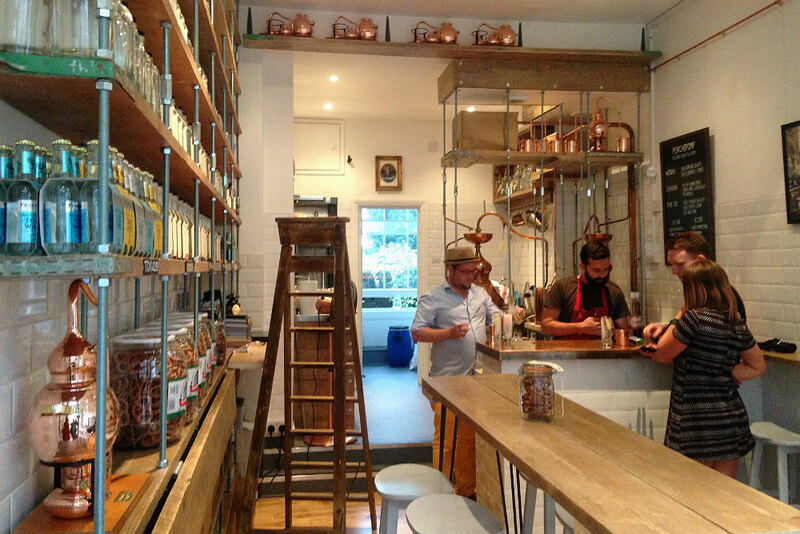 For a more hip experience, climb the students’ domain of St. Michael’s Hill as far as the Psychopomp Microdistillery, which serves amazing cocktails made from the craft distilled gin that is produced inside cute copper pots within view. Hometown of Massive Attack and Portishead, Bristol has a vibrant music scene beating behind the doors of its characterful venues, such as the venerable pub The Old Duke, the indie stage for emerging bands The Louisiana, the club on the boat Thekla and The Plough Inn, a typical pub specialising in reggae music, where Banksy has been known to hang out. Several low-cost lines (among which Easyjet, Ryanair, Thomsonfly and Thomas Cook Airlines) will leave you just a 30-minute local bus drive away from the glorious capital of the Wild Wild West at Bristol’s very own airport. If you are travelling across the UK, both National Express and Megabus run services from across the country. 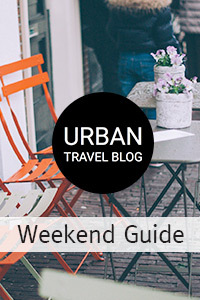 Looking for the ultimate journey planner? Check out the website www.travelwest.info. To be up-to-date with Bristol’s vibrant live music scene and discover about all kinds of events, check out Bristol 24/7 website. Follow the Bristol Bloggers account on Instagram and Twitter: it constantly re-shares the best insider tips from 100+ local bloggers. Bristol-based blogger Heather On Her Travels has plenty of great info about her home town, such as these free things to do and these harbourside attractions. 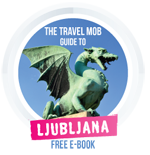 Apart from side mentions in mainstream guides to the UK, Bristol shares equal billing with Bath and Somerset in this Rough Guides tome and is the star of The Naked Guide to Bristol, which is a fantastic purchase if you’re researching the alternative side of the city. Visitors can also rely on several free magazines available around the city, such as The Bristol Magazine and Crumbs, which focuses on restaurants and everything food-related. You might not know that Bristol is an important animation hub, with its award-winning animation studios attracting illustrators from everywhere. Bristol is the proud hometown of the popular clay animation comedy series Wallace & Gromit, whose stop-motion film The Curse of the Were-rabbit (2005) won many film awards, including the Oscar for Best Animated Feature Film of the Year. Shank (2009) is gay romance set in Bristol, with some scenes featuring the Bristol International Balloon Fiesta. There is also a sequel (Cal, 2013) in which the protagonist comes back to his hometown after several years. Bristol Film Office have plotted some of Bristol’s most famous big screen moments over the last 60 years on their feature films map. George Ezra – Did your hear the rain?